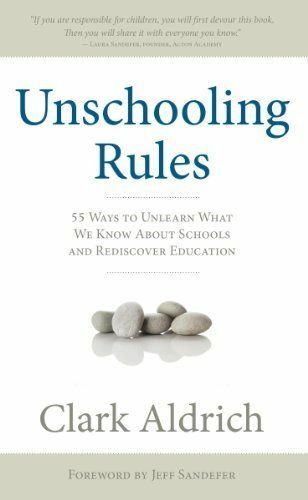 Join us for a Facebook discussion on Clark Aldrich’s book, Unschooling Rules at 10am (U.S. Central/5pm European Central) on June 3, 2017. We will stream the chat live on our Facebook page: facebook.com/educationfutures. Learn to be; learn to do; learn to know. Tests don’t work. Get over it. Move on. What a person learns in a classroom is how to be a person in a classroom. Internships, apprenticeships, and interesting jobs beat term papers, textbooks, and tests. The only sustainable answer to the global education challenge is a diversity of approaches.